The best loans on the coast! 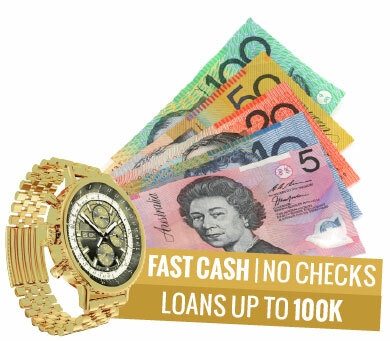 Gold Coast Jewellery Loans is one of the Gold Coast’s best and most trusted loan providers. We provide every customer the best loans, in all shapes and sizes – which has helped us become one of the only loan providers that has achieved an amazing 100% customer satisfaction recognition! Need cash fast and don’t have the time to wait for those slow loan providers or have a not so great credit history? Gold Coast Jewellery Loans can help you! No matter who you are or where your from, we can offer you the best loan at the most competitive interest rates in Australia! By using a valuable item such as gold jewellery, a car or even a boat, we can offer you a loan ranging from $50 all the way up to a massive100K! We were incredibly behind with our mortgage payments, the bank was threatening to take our house if we didn't make a payment. Gold Coast Jewellery Loans was there to help us with an amazing loan at a generous interest rate. We really appreciate your services." Want to know what rates we can offer you? Simply call us on 1300 88 79 02 or contact us to get started right now! Your unique interest rate depends on what valuable/s you can offer as security as well as the amount your interested in lending. All loans are subject to Gold Coast Jewellery Loan’s terms and conditions.